Since Brahim Diaz came into world in 1999, to be more precise August 3rd, the midfielder is six years younger than Real Madrid's average player. Brahim Diaz had twelve match appearances this season. 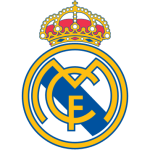 Brahim Diaz is a male midfielder from Spain, who has been playing for Real Madrid in Spain since January 7, 2019. These days, his team Real Madrid comes second place in Club Friendly Games, first place in group G of UEFA Champions League, sixth place in Int. Champions Cup plus third place in LaLiga (Spain). Measuring 170cm, Real Madrid's average player height succumbs Brahim Diaz by 9cm. He prefers to play with his right foot, as do 79% of his teammates. Prior to joining Real Madrid, he played for Manchester City. Brahim Diaz reached the 32 appearances milestone as a professionl, the last one being ten days ago. In terms of top seasons, the EFL Cup 18/19 (United Kingdom) was his best one yet, breaking one personal record in terms of goals. He completes Real Madrid's intermediate department, alongside players like Casemiro, Marcos Llorente, Federico Valverde, Jaume Grau, Marco Asensio, Jaime Seoane, Dani Ceballos, Isco, Luka Modric, Toni Kroos and Alvaro Fidalgo. On the whole, Brahim Diaz joined the pitch 17 times and left it eight times after the start of the match. In the present term, he played less games until end. At 149.91lb, he carries 13lb less than the average Real Madrid player. His shortest spell with a club currently counts four months in his latest side. Brahim Diaz's record stay with a club is Manchester City (United Kingdom) with one year and 6 months. Not a single penalty was given to him yet. He received the jersey number 21 at Real Madrid. Concerning the latest matches, Brahim Diaz's club won in Club Friendly Games, lost in UEFA Champions League, lost in Int. Champions Cup plus won in LaLiga. In the recent term, he managed to find the net twice and provided once additional assists He scored an average of 0.2 goals and provided 0.1 assists per game so far, marking a slightly impaired performance when compared to last season, when he had 0.3 strikes and 0.1 assists per match.